the moment i set my eyes on the recipe, i knew i had to make them rightaway. 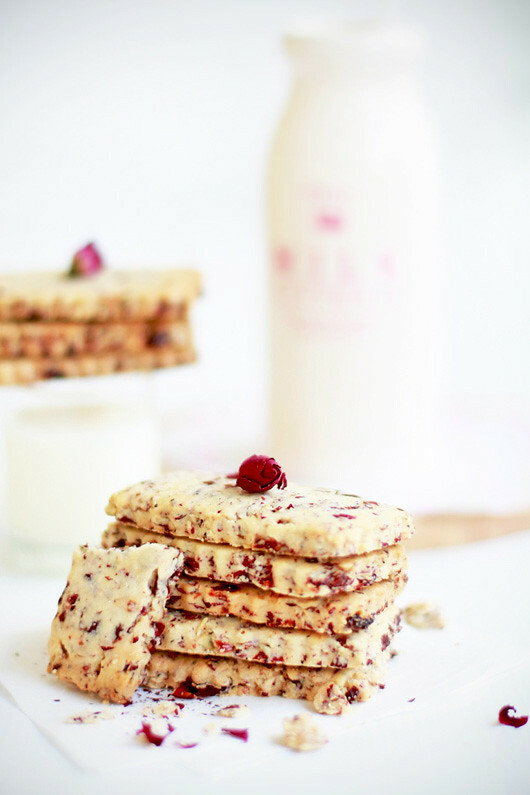 and to be honest, incorporating rose into cookies did not cross my mind even though i love them in mousses, cakes, puddings and even beverages. but once i tasted them, it was really no turning back. 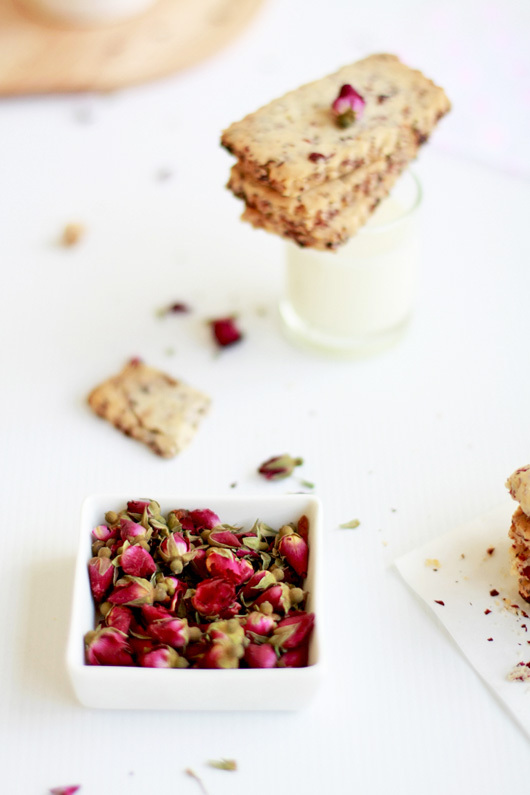 recipe uses a whole cup of dried rose petals and just in case if you're wondering what one cup of it would taste in just 20 pcs of cookies - would they be overwhelming or even dry, then let me assure you they taste perfectly fine! in fact i was rather worried at first since a cup is really quite alot but my worries were unfounded. these cookies were really yum. crisp, buttery and the raspberry-flavored cranberries added a nice tangy bite. the reason why i used raspberry-flavored ones was coz i wanted the cookies to be ispahan-ish but unfortunately the raspberry aroma didn't really shine through. but who cares, the cookies were fun to eat and pretty to look at and thats all it really matters :) hubby, who's usually not a fan of rose or "anything floral" gobbled at least 6 of them in a sitting. if you're a rose fanatic just like me, then you really hv to make these! *recipe removed due to copyright restrictions. as i told you earlier, they ARE AWESOME arn't they? hehe. nice photos as usual. i've alr taken mine (which are plain in comparison) but will only post them in a mth's time aft the backlog haha. i forgot to tell you in our conversation - but one cup of rose petals peeling is so not fun! and what's more i had a packet of rose rights, and i just wanted to use them all up, so it's roughly one and a half cup (i upped the recipe acordingly) so my fingernails were sore after going through that one and half cup. LOL. how do you remove the stalk/sepals as painfree as possible? on these are the 2nd batch? looking nice babe. 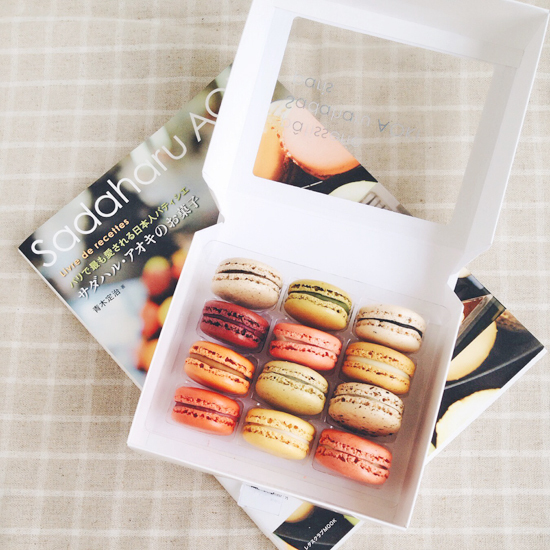 ok, i've been snacking on them since ytd non-stop and u've just tempted me to go get another from the cookie jar. i think i shall go grab one. Ha! they are awesome indeed! thank you so much for the link again, i would hv missed out such a fantastic recipe like this if it werent for u :) u r gonna post it a mth's time? haha ok, i'll look forward to yr entry. oh yes, tell me about sore fingers!! do u refrigerate the roses? coz if u do and they're somewhat "crispier" then its easier to pick the petals apart. of coz, when the sepals get in the way u get pierced sometimes. or maybe can use something to crush them, like mortar & pestle sort of thing? Wow, these look so pretty. 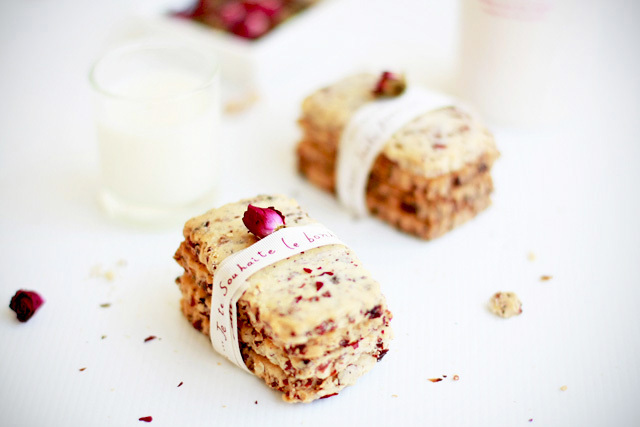 The generous inclusion of cranberries and rose petals make this cookie stand out. Though, I didn't see the Raspberry element in your recipe. Lovely photos as usual! thx shirley :) i used raspberry-flavored cranberries but they're entirely optional hence the "raspberry element" wasn't mentioned in the recipe. no probs! no i didnt refrigerate them. should i? hmm i shall try it next time when i handle dried roses again. but are the rose petals supposed to be individual or is it ok to be in the rose shape albeit minus the sepals and stalk if u get what i mean? and there's like alot tiny brown specks (pollen?!?) do u remove or add them ahha. i added some in cos it was a hassle to remove ALL of it, they were flying around everywhere i swear. lol. hey babe i would say they're better off separated since afterall when u roll out the dough they'll flatten also. plus its a whole lot easier to obtain one cup when u separate them since so you'll get the "volume" easier, just a way to cheat la haha. yes there's alot of brown specks so i try not to get too close to the sepals. sometimes i just pluck the petals 3/4. oh wow, there's alot to discuss about dried rosebuds LOL. not really, doesn't really melt-in-your-mouth.